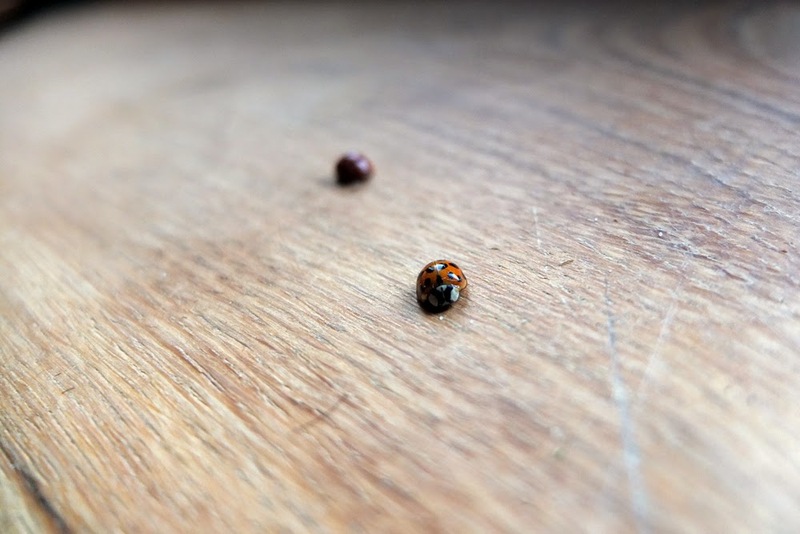 The awakening of our mixed ladybird collection to the bathroom window ledges, desperate for escapism to the outside world. But most don't make it when a finger presses gently to disable their little bodies. A dustpan and brush clears any evidence. This all might sound a little bit cruel, but then there is no sentiment when you are cleaning all their little dirt marks on the glass of the windows.